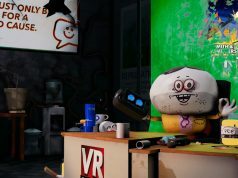 Upcoming action-platformer Trover Saves the Universe is the bizarre and hilarious brain child of Rick and Morty co-creator Justin Roiland. Now you can see for yourself what PS4 and PSVR users will experience in a new demo presented at PAX West this past weekend. Update (11:15 AM ET): Squanch Games just uploaded a new trailer/gameplay video. Check it out below. 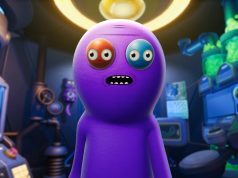 Original Article (September 4th, 2018): Having played a more gameplay-focused demo during E3, it appears Trover Saves the Universe is shaping up to be another fourth wall-breaking romp from Squanch Games, a studio founded by Roiland that also produced Accounting (2017), PSVR exclusive Accounting+ (2017), and the Daydream exclusive Dr. Splorch Presentes: Space Heroes (2018). Trover Saves the Universe is slated to release exclusively on PS4 and PSVR (DualShock 4 only) at some point in early 2019. Looks cool, but demo was waaaay too short. 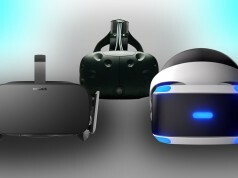 Would like to see this on Rift. Looks amazing. Also I find it crazy that people are complaining about it not being on the Rift, is Revive an unknown thing? Hope this game comes to Steam!